Head-mounted displays by Vuzix were designed in 2008 as lighter-weight headsets, primarily for watching videos while stationary. Photo courtesy of Georgia Tech. This week, catch Steely Dan and Elvis Costello in concert, sign up for improv acting classes and check out wearable technology at the Computer History Museum. Once upon a time, the fields of computing and art had little to do with each other. Not so today. Now through Sept. 20, Mountain View's Computer History Museum, 1401 N. Shoreline Blvd., will display a range of artifacts that demonstrate the many links between technology and design. "On You: A Story of Wearable Computing" includes 70 pieces of wearable technology, all of which come to the region from Georgia Tech. Among them are early virtual reality headsets, cutting-edge conducting textiles and eyeglasses that show much more than the page you're reading. After touring Canada, Germany and China, this is the exhibition's first U.S. stop. If wearable technology is where we're going next, this is your chance to take a peek into the future. General admission is $15. Go to computerhistory.org or call 650-810-1010. They may sound like an odd couple, but after sharing the stage at this year's Coachella music festival, '70s rock legend Steely Dan and English pub rock icon Elvis Costello will again join forces at Mountain View's Shoreline Amphitheatre, 1 Amphitheatre Parkway, on Saturday, July 11. Tickets are $53-$224. Go to theshorelineamphitheatre.com. Ever sit in the audience wishing you were on the stage instead? Here's your chance: On Saturdays from 10 a.m. to noon beginning Saturday, July 11, Redwood City's Dragon Theatre, 2120 Broadway St., is offering a six-week improvisation class taught by professional actress Corinne Kason. No experience is required; the series is $200. Go to dragonproductions.net, email classes@dragonproductions.net or call 650-493-2006. In case you hadn't noticed yet, Menlo Park's beloved Kepler's Books, 1010 El Camino Real, now has its very own radio show. "In Deep with Angie Coiro" is recorded live at the bookstore every Wednesday at 11 a.m. On July 8, author Jessica Jackley joins Coiro to discuss her new book, "Clay Water Brick: Finding Inspiration from Entrepreneurs Who Do the Most with the Least." Admission is free. RSVP at brownpapertickets.com or call 650-324-4321. Midpeninsula residents love the Baylands for its open vistas, walking trails and abundant wildlife. But among its greatest fans are the artists in our midst. On Saturday, July 11, from 1 to 3 p.m., the Environmental Volunteers EcoCenter, 2560 Embarcadero Road, will host a reception for painter Bob Schick and his students who use a variety of media to capture the shifting tides and seasons of the nature preserve. The show is on view through Aug. 28. Admission is free. Go to evols.org or call 650-493-8000. 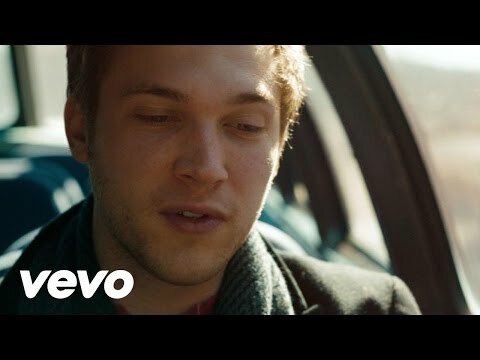 Since winning American Idol in 2012 with what would become the hit single, "Home," Phillip Phillips has gone on to release two albums and to establish himself as a versatile singer-songwriter. On Friday, July 10, at 8 p.m., Phillips teams up with classical cellist Dave Eggar for an unusual evening of musical collaboration at Stanford's Bing Concert Hall, 327 Lasuen St. Tickets are $30-$65. Go to live.stanford.edu or call 650-724-2464.